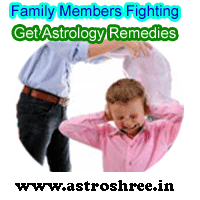 Astrology remedies of family members fighting, What are the reasons of fighting among the members of family?, How to make family members close to each other through astrology ways, Reasons and remedies of family members misunderstandings as per astrology. Our family is very important and every one in this world live for the family. An earning person sacrifices many things just for the sake of family. A person bears many things in this life just to keep the family members well. Did you ever think that what happens when a person return to home and find that family members are in rough mood, what happens when a person return home to get fresh and find every things disturbed, what happens when no one in family likes each others without any genuine reasons. A very big problem in this world is the family members fighting in day to day life because of some un specific reasons. Some times trifles become the reasons which in long term become a very big issue and become the reasons of family separation. The head of the family always fears of family disputes. In this article i am going to clear some of the reasons from the astrology and occult science view and also try to show you the right ways to over come from the family problems. Here you will find that why family fighting arises, how planets affects the relationships, how vastu affects the family harmony, how negative energies affects the family members relations. Some times it happens that coincidentally the negative planets comes in mahadasha or pratyantar in horoscopes of family members at once, this become the reasons of disturbances in family. Some times due to malefic effects of any planet in the horoscope of a particular member, the person starts behaving negatively and thus create a negative atmosphere. Some persons doesn't like interference in his or her work because of planetary powers and this become the reasons of fighting. Some times it is seen that after changing the house the family gets disturbed. This is because of vastu doshas. Some times due to negative energies effects also the family gets disturbed. If any negative person enter in our home then due to his or her evil eye effects also family gets disturbed. Some times due to impurities in the worship area also the family problems arises. It is many times felt by me that some families are not thriving because their kul devi(family goddess) or kul devta(family god) is not worshipped properly. Some times greedy nature of a particular family member also become a great reason of fighting. A nature to show our self superior create misunderstandings. Some times to be too quite in the family functions creates misconceptions in the family members mind. A fear to lose something is also a great reason of disharmony in family members. Some times not giving proper attention to each other also creates problems. Self centred nature person also create problems in family. Ignoring the responsibilities is also a major reasons of family fighting. Unsuccessful in business, job etc create frustration and in long term create atmosphere of fighting. Some times any 3rd person create problems in family. 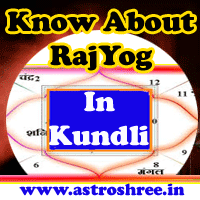 If family members are suffering a lot due to any particular member then it is good to consult an experienced astrologer and show the kundli of that members to get the right solutions. One very important thing which i suggest is to do hawan in every 3 months which will energize the house and protect the house from negative energies. And it is also necessary to offer some things time to time to the energies through special spells or mantras. It is good to do proper utara on no moon night after consulting an experienced astrologer to protect our home from evil eye effects. If any particular planet is creating problem than it is good to go for shanti process of that planet. Sprinkle of holy water in house daily for 21 days continuously also a very helpful way to protect our house. There are some special yantras which if installed in house in auspicious time can energize the house and attract the prosperity. For this it is good to consult an experienced astrologer. If the house is haunted due to any specific reasons then it is good to take the remedial action as soon as possibly by consulting an tantrik astrologer who can guide you better. There are tantrik totkay which can create a good atmosphere in home but it is not good to open them here. It can be done only under proper guidance otherwise some problem may arise. Time to time on holy, diwali, navratri if the head of the family or a responsible family member do some particular pooja under proper guidance then no doubt the whole year the family will get good relief from negative energies effects. Family is very important and don't neglect any small problems. It is good to take precautions before it gets delayed. Here you will get the best astrology service on-line through the best astrologer on line Astrology is said to be the eyes of vedas and it is possible to find the right reasons of problems and then it is easy to root out the problems. Consult now for family prosperity, consult now for family protection through astrology, consult now to make good atmosphere in the family.